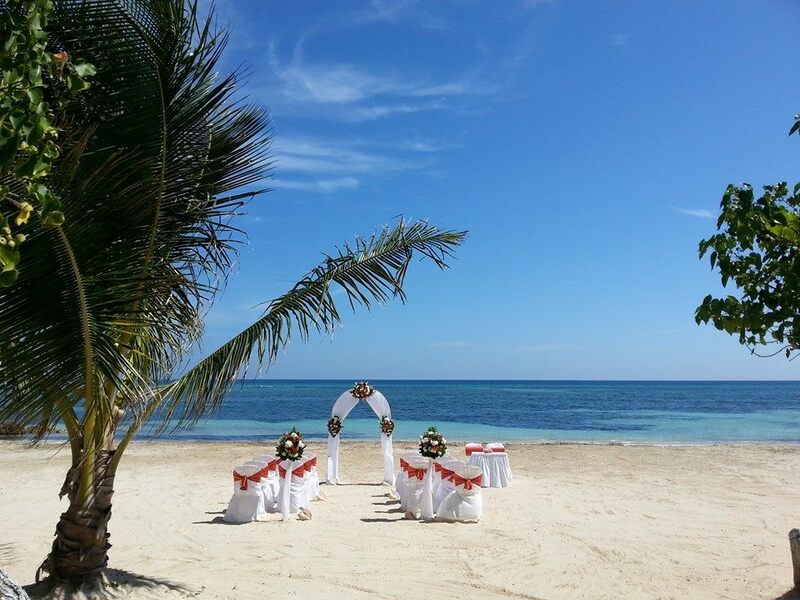 Where is the best place to get married in Jamaica? 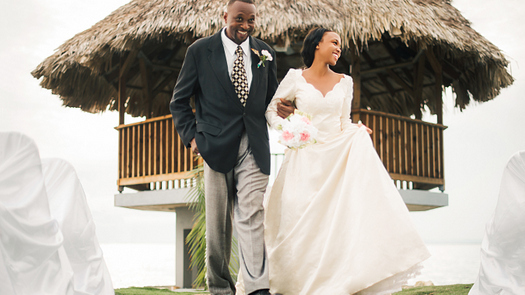 Where is the best place to get married in Jamaica, by Devin Saunds-Dunkley, Associate Writer. There is a certain bliss that comes with getting married and, for that reason, we need to ensure that everything, including the destination, lends effectively and purposefully to the euphoria of the eventuality of the vows. The beauty of Jamaica makes it not just a place of choice for beach bums, but the destination of choice to experience this once in a life moment. So you want to get married in Jamaica; very good decision! You do have certain options at your disposal in planning the perfect wedding. These include getting a wedding planner to take the hassle away from you, if you choose not to make the plans yourself. Either way, there are a few things to be considered to make this memorable moment happen. First on the list is ensure you have done the necessary paper work needed to have your nuptials here. Then you decide on the type of wedding you would like – a church wedding, registry wedding, on the beach, in a garden, at a friend’s house or even at one of our historical sites or park. Rest assured, whatever your heart’s desire, you can find your ideal options here in Jamaica. A Jamaican wedding not only affords you the best place to exchange vows, it offers you a comprehensive one stop honeymoon destination as well. You can enjoy a unique blend of romance and privacy while allowing you and your guests to feel at home and 'one with nature'. If your desire is to be wed in a church, all you have to do is narrow that down to a church in the city or one nestled in the cool country hills that span the island, non-denominational or not, the choice would be yours. If you choose to do it in the registry, the choice is yours as well. Whichever of the two you choose, there is always the option of having the reception at one of the picturesque venues across the island, from Morant Point to Negril Point.Then you can begin your honeymoon right here on the island! A garden wedding would also be superb. A trip to any of the island’s botanical gardens with their breathtaking surroundings would be such an ideal place to say your vows if you are a nature lover and would like to be surrounded by all the elements of nature. The choice of a garden wedding is yours – a tailor-made garden around the city or a natural habitat nestled in the country areas with various aspects of nature coming together to add volume to memories as you relive the moment of bliss years later. There are also many posh and aptly designed restaurants, especially in Kingston and St. Andrew with garden settings that offers a romantic ambiance for you and yours to tie the knot. From there you can enjoy a delicious cuisine with lovely music playing in the background for you to complete your reception package. Others find the waterfalls or beaches around the island as the perfect place to say their vows. By the way, a number of these beaches come with their own resorts and so you could get the package of your choice and enjoy another awesome piece of nature that would leave you and your guests breathless. In fact, Many of the resorts have their own wedding planners on their staff and so they will get all the basic necessities together, from the documentation to the minister, once contact is made and the basic requirements are communicated to them. They can make it happen as short a time as a day, providing you are in the country at least one business day before the wedding day and you can complete the application forms needed to get the paper work done. A Jamaican wedding experience is one of awesomeness that will leave a lasting effect upon everyone, and so the choice of a specific place comes down to the bride and groom. Whatever your preference, Jamaica has a solution for you. Be sure to read more on Jamaican Wedding Planning and Weddings In Jamaica for additional information and guidance. Back to Top of where is the best place to get married in Jamaica..